Home » Insurance tip » Would consuming alcohol affect your insurance? When you drink, don’t drive! This is the advise to all drivers, it protects you as well as other road users. It is common knowledge that your car insurance will not respond if you get involved in an accident under the influence of Alcohol. No only that, it is a crime and you can be jailed for drink driving. The insured vehicle was involved in an accident whilst driven by the insured driver at about 3:30am. The insured driver reported that he had lost control of the vehicle when attempting to avoid an on-coming motorcycle. The insured driver was injured and taken to a nearly clinic. In his statement to the adjuster, the insured driver stated that he had consumed some beer (Carlsberg) prior to the incident but he was completely sober at the material time of the accident. The medical report from the clinic stated that the insured driver ‘had consumed alcohol’. The insurance company declined the claim on the ground that the insured driver was driving under the influence of alcohol, which was excluded by the motor policy. The Mediator noted that the medical report merely states that the insured ‘had consumed alcohol’. This information is insufficient to determine whether the insured was under the influence of alcohol at the material time of the accident to such extent as to be incapable of having control of the vehicle. The necessary test to determine the alcohol level was also not performed. 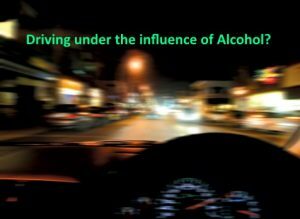 Thus, the Mediator found that there was insufficient evidence to establish that the insured was driving under the influence of alcohol to such extent as to be incapable of having control of the insured vehicle. The Mediator held the insurance company liable to indemnify the insured for the damages to the insured vehicle as a result of the accident. Well, we don’t encourage you to drink, and being a responsible driver, you must know when it become too much!